TABACO CITY –No bail recommended. This is what Branch 17 RTC Judge Edwin C. Malaat ruled upon the arrest of Jonathan Magdaraog y Poot, a.k.a “Atan”, who was collared by the operatives of the Philippine National Police, yesterday at 6:20 in the afternoon. PSupt Felix N. Sevilla, Jr., who led the arrest of Magdaraog said that the suspect is charged for violating Secs. 11 and 12 in relation to Sec. 13 of RA 9165, otherwise known as the Dangerous Drugs Act. The case is docketed Criminal Case No. T-5980. 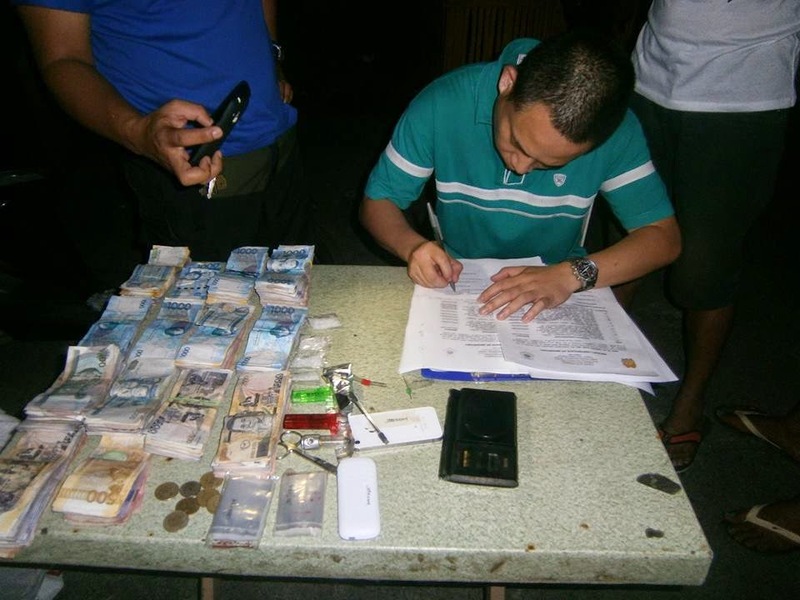 Upon his arrest, the police operatives also found the suspect in possession of the following items: (1) four pcs heat sealed transparent plastic sachets containing white crystalline substance suspected to be “shabu”; (2) bundles of money and coins amounting to P152,691.00; (3) cellphones, scissors, improvised metal tooter and other drug paraphernalia. The search was made in the presence of the representatives from the media, Department of Justice and elected barangay officials. The suspect is now detained at the police station here while the corresponding case is being prepared for inquest proceedings.